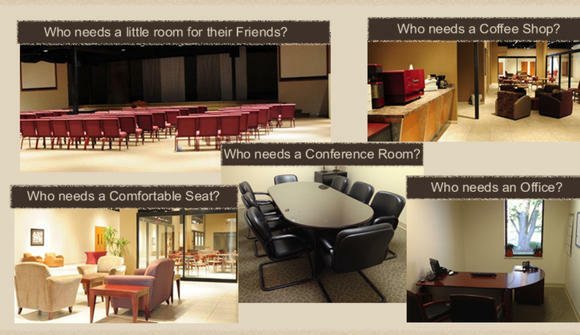 We are a large coworking and event space located on the Northeast side of Indianapolis. We offer a cafe/lounge area, open desks, temporary (reserved) private offices, and large event space. We are launching the summer of 2012. We are building an 'MVP Group" of individuals looking to utilize the space for free during the month of July in exchange for providing feedback on what those in the Indianapolis are is looking for in a coworking space. We are building an open community of coworkers in Indianapolis and are looking for them to help set the direction and culture. *This is an invitation only prelaunch group.